TBN – The Fall of Heresyland 2 – Memories of PTL Continue | Truth with Snares!? 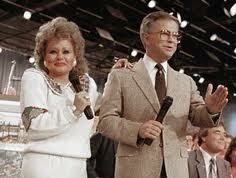 As one who grew up near the PTL Club Heresyland 1 in the Jim and Tammy Bakker with all of its hyprocrisy, the huge waste of millions of dollars and ultra-charismatic nonsense in addition to loads of rumors of sexual immorality (that were proven true) I am not surprised to see the fall of TBN Heresyland 2. – Or at least what we hope is the beginning of the end of it! 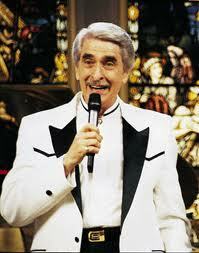 “Paul Crouch responded: “God help anyone who would try to get in the way of TBN, which was God’s plan. 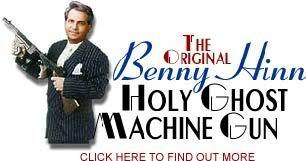 … I have attended the funerals of at least two people who tried…” ‘God help anyone who would…get in the way of TBN’ from: ‘God help anyone who would…get in the way of TBN’. For me, it was impossible to take PTL or TBN with a grain of salt and as a teenager I would say, “If this is Christianity I want no part of it!” They are a hindrance to the Gospel not a help – Praise God He sought me out and I learned that in the flesh I can do no better than either Heresyland. Reader, if you are like me then, you to are but a sinner — the biggest difference is I am now saved by the Grace of God through the finished work of the Cross where Jesus Christ died for my sins. For my testimony click here. The list of goofy PTL and TBN teachings is quite extensive, one conversation on TBN we heard sometime back when flipping the channel on briefly was the Crouch’s and Hinn commenting when they get to Heaven how their satellite broadcasts they will be able to watch there as the TV signal catches up to where they are. If they really believe that they take their conceit, pride and arrogance to a level never seen on Earth. – It surely will not be seen in Heaven! I hope we can finally bid a not so fond farewell to Heresyland 2 at last! Has David Jeremiah Changed for the Better? « Truth with Snares!? Southern Baptist or Closet Prosperity Doctrine Teacher Coming Out? 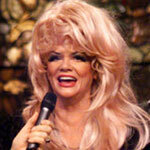 David Jeremiah Praises “Vision God” Gave TBN’S Paul Crouch!? « Truth with Snares!? Dead or Dying? – Near Death Experiences (NDE) and the Christian « Truth with Snares! ?